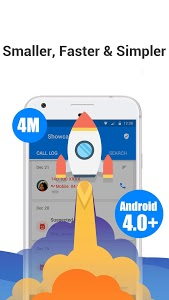 ?Showcaller specialized in identifying true caller id name and region, unknown (fake caller id) incoming calls and avoid spam, scam, telemarketing and robocalls. 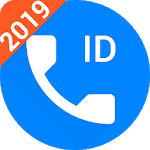 A powerful caller ID app, call blocker, call recorder, quick number book, contacts and Phone Dialer. More than 20 Million people trust! ?Only 4MB; Fast, Safe and Smart? ?Caller ID working even offline? It is the most accurate & easy-to-use true caller id app can help you instantly identify the incoming calls not in your contact list. Showcaller identify most of unknown calls and show detailed true caller id name and region on incoming calls, so you can see Caller ID and names of people who is calling. Showcaller can help you identify spam calls, see who is calling with true caller id name and region, block number, stop spam & telemarketers. 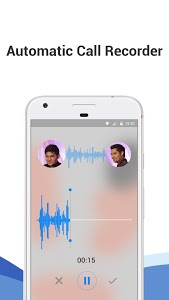 Simple and smart auto telephone voice recorder. It is powered by a database of a billion phone numbers and millions of happy Showcaller users who depend on the app daily. Why should you choose Showcaller?
? 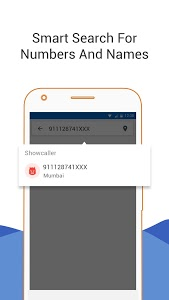 Caller ID - Showcaller shows you true caller id name and region. Once a result is found, you can add it directly to your phone book, contacts and number book. Find out who called, true call region, name, carrier and more. Browsing number tags and user reviews can help you get more number details.
? 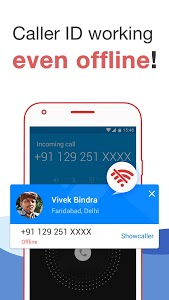 Call Blocker - Block number from known spammers or unwanted callers. 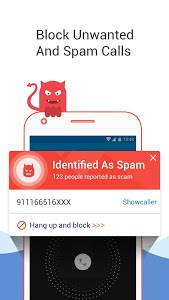 Showcaller also provides spam reports during incoming calls from unknown and private numbers that could be used to block calls. Say goodbye to telemarketing, scam, fraud, sales, ads, harassment and more! 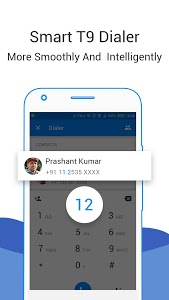 ✨ Smart Dialer - Fast T9 search in your recent calls and contacts, replace your stock system default free calling app, bring your dialing experience to the next level! Make a phone call more smoothly and intelligently.
? Phone Number Lookup - All phone number searches within Smart Search are stored. Perform a phone number search on an incoming call and copy a number anywhere to find out who it belongs to (true caller id name and region). The most powerful phone number lookup in Showcaller.
? Quick Contacts - Easily have access to your recently or frequently contacts, call or text them, this makes your communication fast and simple. You can also add or modify your Phone number book easily as you like.
? Offline Database (Lightning identification) - Fast caller ID and offline accessibility. Identify and show true caller ID without network. Caller ID working even offline! ☀ Easy to Use - Quick to download (Only 4MB), easy to setup, it needs very little space to run, extremely fast and reliable to Caller ID. Showcaller is absolutely free true caller id app to identify true caller id name and region. If you enjoy it, feel free to rate it accordingly. Start protecting your phone communication now and enjoy a pleasant calling experience. Showcaller works great across all countries especially ? ?INDIA, ??INDONESIA, ? ?USA, ??UK, ? ?SAUDI ARABIA, ??BRAZIL, ? ?IRAQ, ??ISRAEL, ? ?NIGERIA and others. Showcaller currently supports: Android 4.0 - Android 9.0. Perfectly support Android 9.0 now! 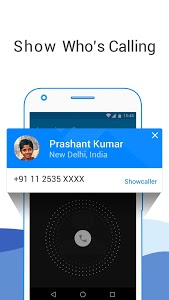 Don’t hesitate to join in Showcaller and enjoy the most accurate true caller id service, I bet Showcaller for Android definitely worth your time and effort. ‼Please don’t give us bad rate if you have encountered with any problem. Your feedback always keeps us improving with more and more cool features. Similar to "Caller ID, True Call & Call Blocker: Showcaller"